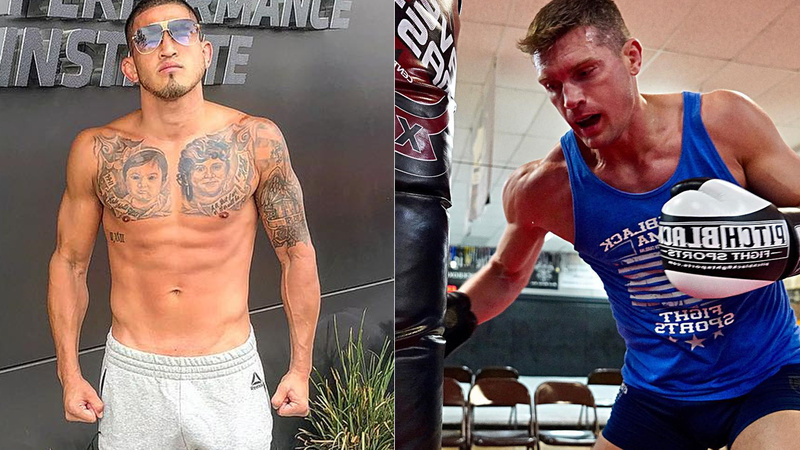 Earlier this month former UFC lightweight champion and one-time interim featherweight title challenger Anthony Pettis took to social media stating he’s considering a move to welterweight and offers to fight two-time title challenger Stephen Thompson. The very next day “Wonderboy” accepts a challenge from ‘Showtime’ saying let’s do it. And now it looks like UFC matchmakers are all set for this showdown as ESPN’s Ariel Helwani reveals this evening that the fight is in works. Thompson (14-3-1) is 1-1 since his two title fights against welterweight champion Tyron Woodley and most recently coming off a decision loss to Darren Till at UFC Liverpool last May. ‘Wonderboy’ was briefly linked to fighting Robbie Lawler for UFC’s debut on ESPN, but “Ruthless” is now booked against Ben Askren at UFC 235 this March. Pettis (21-8) lost three of his past five fights which include his most recent defeat which came against Tony Ferguson at UFC 229 on Oct. 6. ‘Showtime’ once fought as a welterweight back in 2008 before joining a promotion. That will mark Pettis debut at welterweight and the third weight class to compete in as he already has a good run at 155-pound and also tried his hands once in the featherweight division. This fight seems to be an entertaining one to say at least. Who do you think between ‘Wonderboy’ and ‘Showtime’ will emerge victoriously?